“I didn’t like to talk to people, and I didn’t want to do something that was boring, but I walked into her class and she made me feel at home. She didn’t judge me for the things she knew I had done. I experienced the opposite,” reflects Jesus Beltran, a participant in Jobs for Americas Graduates-New Mexico (JAG-NM) at Rio Grande High School, and future president of the Rio Grande JAG Career Association. 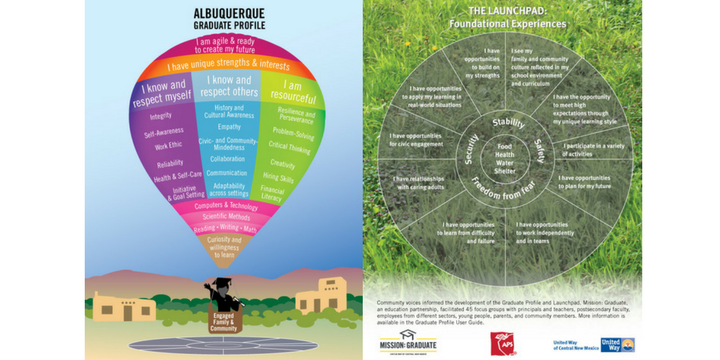 JAG-NM is a dropout intervention program that provides a comprehensive school-to-career curriculum for high school students who are faced with multiple barriers to success. The program, offered as an elective class for identified students, teaches performance competencies needed to succeed in school, thrive in the workplace, and lead productive and fulfilling lives. Its mission is to keep young people with success barriers in school through graduation and to provide work-based learning experiences. The goal is that participation in the program will lead to career advancement opportunities or to enrollment in a postsecondary institution on the path to a rewarding career. Jesus Beltran’s experience in JAG-NM demonstrates this approach. It wasn’t boring, he says. It was great hands-on experience. Nobody judged. And was able to speak his mind – something he never felt he could comfortably do in the past. Pretty soon he was back on track, earning As and Bs in his report card—a drastic improvement from the failing grades he got during his freshman year. Today, Beltran is an employee of the New Mexico Department of Workforce Solutions call center, a job he’s been doing since graduation in May 2015. 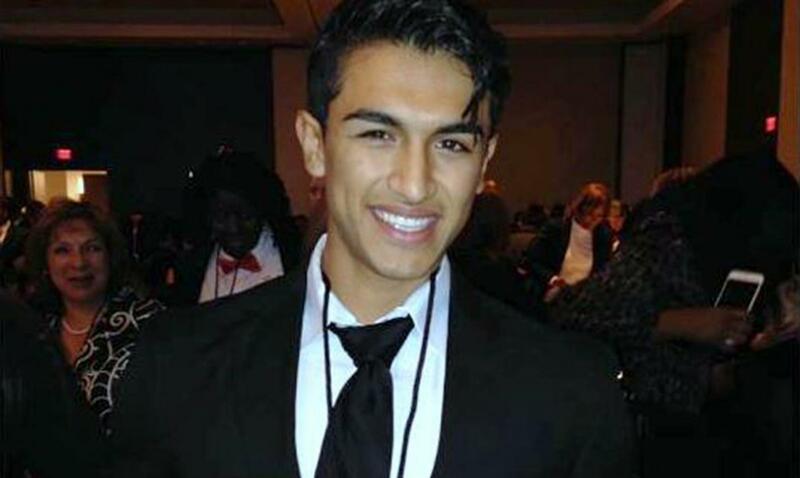 He is also a graphic design student at Central New Mexico College, and plans to also get a Bachelor’s degree in Elementary Education from the University of New Mexico. He still enjoys catching up with classmates who he recommended to the program who often say, “You were right.” Participating in JAG-NM helped him and his classmates see the world in a different way. 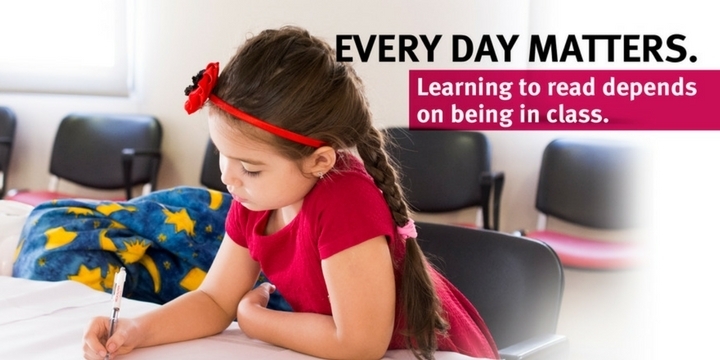 In the 12 years that JAG has been in operation in New Mexico, the model has delivered consistent, compelling results – helping about local students stay in school through graduation, pursue postsecondary education, and secure quality entry-level jobs leading to career advancement opportunities. JAG’s purpose is to help young people who have multiple barriers to success graduate from high school and make successful transitions to postsecondary education and meaningful employment. 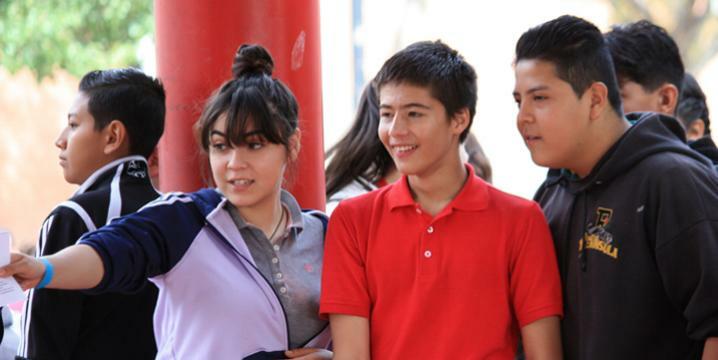 JAG-NM serves high school students in grades 9-12 who have been identified as needing additional supports to succeed. JAG-NM is in four schools in Bernalillo and Sandoval County: Bernalillo High School, Independence High School in Rio Rancho, and Rio Grande High and Robert F. Kennedy Charter Schools in Albuquerque. Classroom instruction: A trained Career Teacher provides individual and group instruction to classes delivered for credit during the day. Competency-based curriculum: The JAG curriculum equips participants with between 37 and 81 employability competencies, intensive career exploration, and training opportunities. Teachers as mentors: JAG teachers provide students with individual attention to help overcome barriers that stand in the way of personal and academic success. They provide guidance as students make career and life decisions and connect participants to other social and education services in the community. Summer employment training: To maximize year-long learning, students are placed in summer jobs or connected with summer youth employment programs. Student-led leadership development: JAG students belong to a student-led organization that helps them develop, practice, and refine their leadership and teaming skills and to serve their communities. Support after graduation: Students receive job and postsecondary education placement services to ensure a successful and transition, and then receive 12 months of follow-up services after graduation or completion of a GED. Data tracking: A comprehensive, internet-based accountability system includes information on the participants served, services delivered, and performance outcomes. In the 2014-15 school year, 131 students in Bernalillo and Sandoval Counties participated in the program. In the 2014-15 school year, 210 students participated state-wide. In 2015-16, JAG teachers averaged 107 contact hours per student in central New Mexico. Contact hours include individual and group engagements. In 2015-16, JAG students spent an average of 11 hours per student on field trips, listening to guest speakers, attending career fairs, and/or job shadowing. One year after the expected graduation date for the class of 2015, 90% of the JAG-NM students in Bernalillo and Sandoval Counties had graduated from high school; 64% were employed; 34% were enrolled in postsecondary education; and 75% were either employed and/or in postsecondary education. To be selected as a Bright Spot, a program had to provide evidence that children or adults touched by their interventions were better off after participating. While the strength of evidence varied from program to program, all Bright Spots were able to show – at minimum – a correlation between participation in their program and positive outcomes. Those with stronger evidence provided pre- and post-data on participants in comparison to a similar group that did not participate.